Thank to Jenny and Nick Russo and the whole team at St Michael’s Sports Bar & Grille for a great event Friday night! 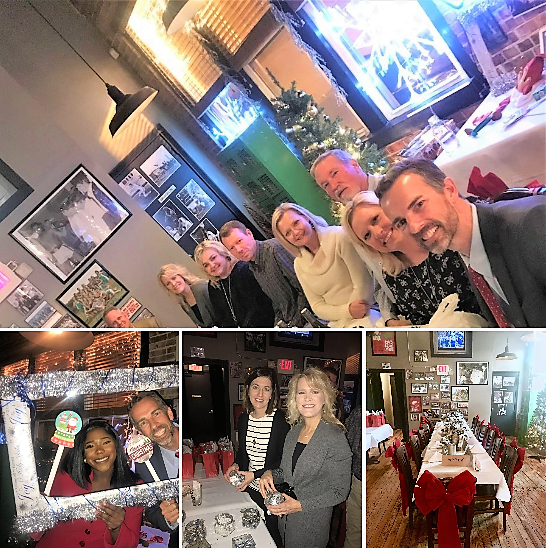 In addition to appetizers and dinner, the night included a photo booth and a DIY ornament station designed by our own Tylar Grant. Tylar also designed and set-up the festive decor for our Winter Wonderland.